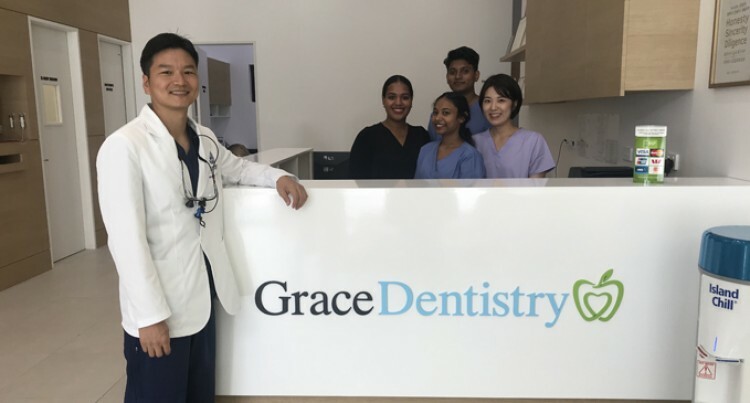 A dentist by profession Jiwon Kim has managed Patisserie Pacifica at Tamavua and looked after a few other Grace Road Group shops before pursing his profession again. For Dr Kim, the opening of the Grace Dentistry at the Flagstaff Plaza yesterday, was all about God’s calling to him and doing things to the best of his ability. He studied at the Ostrow School of Dentistry, University of Southern California, USA and Yonsei University School of Dentistry, Seoul, South Korea. “I have been practising in America and then I went back to South Korea,” Dr Kim said. “I came to Fiji two years ago to do God’s work. I was working at Patisserie Pacifica at Tamavua as a manager and it was a great experience for me. “When this clinic opened, I feel very happy and grateful, whatever I do is pretty much the same to me because I am doing God’s work. “Even though I was doing other things apart from what I am professionally qualified to do, I knew that God would bring me back to do the work that I was professionally trained for. He said they offer almost dental treatment and at the moment opening hours are flexible. “For me it’s also about helping the Fijian people with their oral health. He said offering a premier dental service is expensive but they can offer dental services to people who can afford it. The clinic currently has five staff, two of whom are Fiji National University graduates from the College of Medicine Nursing & Health Sciences with a Certificate in Dental Hygiene. For Ranjani Kumar and Shaheel Kumar, this is their first intership after graduating last week and they are grateful to be working amongst the best. Grace Road Group has strategically positioned quality management at the heart of all of its business operations to achieve full value chain and to reinforce sustainability. It was a large investment undertaken by Grace Road Group to open this clinic which has the state of the art digital x-ray CT system and equipment.